In September at Content Marketing World, Robert Rose and I will launch our (combined) sixth book called Killing Marketing. The core principle is that we’ve been misusing the marketing function for years. Marketing, in its truest form, was actually meant to be a profit center. While Robert and I were doing our research for the book, we looked into successful new media companies as well as enterprises that have seen benefits from a content marketing approach. What we found, to our pleasant surprise, is that the revenue model for both media companies and product brands is EXACTLY the same. Now, we may perceive The New York Times and Cisco Systems as completely different companies, but the content-first business models behind them are more alike than different. The fruits of this research produced (among other things) what you see below, tentatively called the Media Marketing Revenue Model. 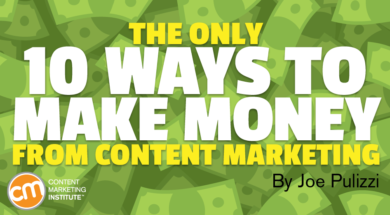 Basically, any organization that builds an audience from its content can generate revenue (and profits) in 10 different ways. Although we go into quite a bit of detail on this in the book, here’s an overview for you to consider. There are five methods by which companies can directly generate revenue from an audience group: advertising/sponsorship, conferences and events, premium content offerings, donations, and subscriptions. The most popular method of driving direct revenues is through advertising and sponsorship programs: companies willing to pay you for direct access to your audience. Redbox – The popular DVD delivery service (that sits in a box outside physical retail stores) offers an e-newsletter to customers focused on new movie and game releases. Each newsletter includes one or multiple sponsors (generally promoting their own games and movies) that pay Red Box to reach its audience. The largest media brands in the world, like The Wall Street Journal, are generating substantial revenue from sponsored content. According to The New York Times, young media companies such as Vice generate the majority of their revenues from sponsored content, while The Atlantic and Slate both say sponsored content is over 50% of their digital revenue stream. 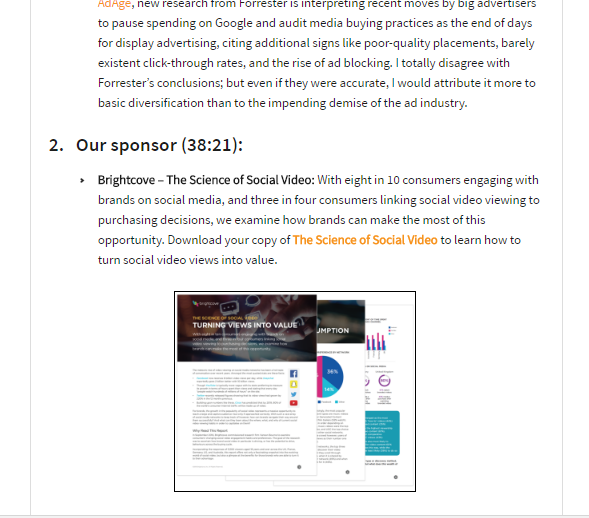 Forbes – Large companies, such as SAP, pay Forbes a monthly fee for the opportunity to publish content that looks like editorial content as part of the Forbes BrandVoice program. These programs run upwards of $75,000 per month for sponsors. Conan O’Brien – Conan and his Team Coco have been producing sponsored content placements on his late-night show for years now. In one situation, Conan and sidekick Andy Richter talk about their “Cyber Monday” issues, which result in a pitch for PayPal. While an advertisement generally involves interrupting a user’s experience with a product or content promotion, a sponsorship is an underwriting of a piece of content, generally by one company. The benefits of sponsorships include leads (a sponsored download) and/or brand awareness (sponsoring a podcast or television program). Content Marketing Institute – CMI favors a sponsorship model over an advertising model for the majority of its products. Each podcast episode, research report, and webinar has a single sponsor. ESPN’s Mike and Mike – The popular morning show (syndicated on radio and televised live on ESPN2) has been sponsored by Progressive Insurance for years. ESPN does this with a number of its live shows, including Pardon the Interruption (PTI), which is generally sponsored by a spirits company. According to CMI/MarketingProfs research, approximately seven in 10 enterprises create and manage their own events. Some of these are small client gatherings, while others are full-scale events with exhibition halls and concurrent sessions. Revenues are driven, for the most part, through paid registration to the event or sponsorships, such as parties or exhibition space. Minecon – Minecon is the official event of Minecraft, the online multi-player building game owned by Microsoft. In 2016, the annual event attracted a sold-out 12,000 attendees (the $160 tickets sold out in minutes) as well as an exhibition hall featuring the latest Minecraft technology and merchandising (where Microsoft accepts booth fees from sponsors and partners). Lennox Live – Lennox is one of the largest manufacturers of heating and air conditioning equipment in the world. Every year, it attracts the leading contractors and distributors from around the United States, offering education around technology, marketing, and business practices. Exhibiting partners include companies such as Honeywell, Cintas, and Fluke. Lennox generates revenue directly from attendee fees, as well as more than a dozen manufacturing and service partners. Premium content packages come in a number of forms, including direct-for-sale content products, funded content purchased on demand, and syndicated content opportunities. Digital Photography School – Darren Rowse launched DPS as the leading source for beginning photographers about how they can get the most out of their picture-taking skills. DPS generates millions per year by developing premium e-books and specialty reports for direct sale. DPS’ premium content sales have become core to the company’s monetization strategy. BuzzFeed (Tasty) – BuzzFeed’s time-lapsed cooking videos have been viewed over 40 billion times (yes, billion with a b) in the past two years. One of the ways BuzzFeed monetizes that success is through customized cookbooks. 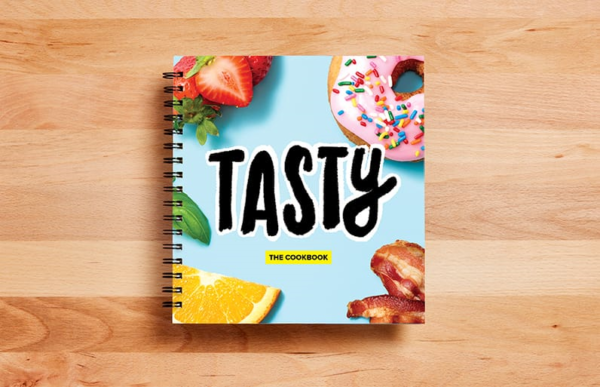 In 2016, BuzzFeed launched Tasty: The Cookbook, a hard-copy book that can be customized by the buyer depending on their recipe tastes. In just a few weeks, the print-on-demand cookbook sold over 100,000 copies. Content syndication happens when originally created content is published to third-party websites for a fee. Red Bull – Red Bull’s “Content Pool” contains thousands of videos, photography, and music. 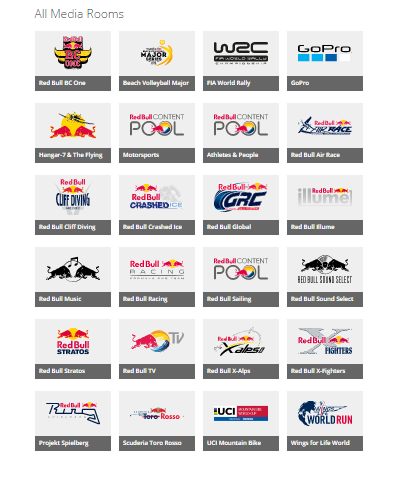 Media companies and content producers can purchase rights directly from Red Bull. Yahoo! News – Although Yahoo! has an editorial department to create original content, much of what you’ll find on Yahoo!’s site is syndicated content paid directly to companies like MSNBC, Newsweek, and Reuters. Generally, donations to subsidize the publishing of an organization work best for not-for-profit and cause organizations. America’s Test Kitchen – Both America’s Test Kitchen and Cook’s Country are television programs on public broadcasting, and both shows have sponsor underwriters to cover almost the entire cost of production. Pro Publica – A nonprofit organization, Pro Publica uses its funding to develop investigative journalism it deems is important for the public to hear. Founded by Paul Steiger, former managing editor of The Wall Street Journal, Pro Publica employs over 50 journalists and receives its major funding from the Sandler Corporation, which committed funding for multiple years upon Pro Publica’s launch in June 2008. Pro Publica also accepts ongoing donations from anyone who believes in the organization’s cause. Subscriptions differ from premium content in that subscriptions, paid for by the consumer, promise to deliver content ongoing, over a period of time (generally a year). The New York Times – A major part of the turnaround at The New York Times (from diminishing print advertising) is its growth in digital subscribers. According to Quartz, the Times has added approximately 1 million digital subscribers over the past two years, with 276,000 subscribing (their biggest growth since launching the subscriber program) after the election of President Donald Trump. 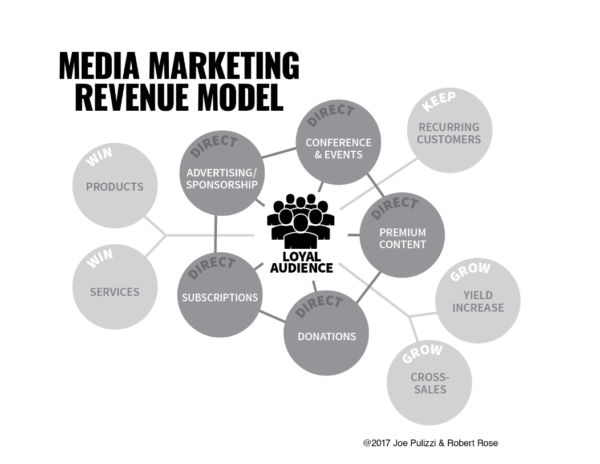 While direct revenue options have been traditionally thought of as part of the media company model, indirect revenues fall under the approach known as content marketing, or creating content and building relationships with audiences to fund organizational business goals. Win revenue includes the creation and distribution of content with the goal of selling specific products or services. Chili Klaus – Claus Pilgaard, aka Chili Klaus, is one of the most well-known celebrity figures in Denmark, all because of the extraordinary way he talks about chili peppers. Claus’ YouTube videos have garnered millions of views, including one where Claus conducts the Danish National Chamber Orchestra playing Tango Jalousie while eating the world’s hottest chili peppers. That video alone has seen more than 3 million views (that is more than half the population of Denmark). From this success, Claus has launched a suite of successful product launches under the brand “Chili Klaus” including chili chips, chili sauce, chili licorice, and dozens of other products. Sony’s Alpha Universe – A content platform dedicated to photography professionals, Sony’s Alpha Universe focuses not on Sony products but on educational and helpful information. After starting with a blog, it diversified into a podcast and training university. The site’s purpose is to drive product sales for Sony’s Alpha line of cameras. The Wirecutter – The gadget and deal listing site, The Wirecutter, was purchased by The New York Times in 2016 for $30 million. The site makes a little bit of money every time it sells a product recommended on the site. And these deals add up. In 2015, it generated over $150 million from affiliate revenues. If there is a product easiest for media companies to sell, it’s data. With access to audiences and the behavior of those audiences, an organization can package and sell that information in multiple ways. Advance Publications – Advance is one of the largest privately held media companies in the United States, holding hundreds of entities including Reddit, Pitchfork, and Charter Communications. That gives them insight into over 50 million people. From there, Advance can sell data in multiple industries about specific audiences, including market share, path to purchase data, how and what a customer base buys as well as local data information and trends for retailers. Game Theory – Matthew Patrick created the idea of Game Theory while watching an online program on learning through gaming. Game Theory became a weekly YouTube video series that combined Matthew’s passion for gaming and video games with his skill set of math and analytics. After 56 episodes over one year, Matthew had an audience of 500,000 YouTube subscribers interested in his take on how math works in gaming. For example, his episode How PewDiePie [an online video celebrity] Conquered YouTube generated more than 8 million views. His episode Why the Official Zelda Timeline Is Wrong saw more than 7 million downloads. Today, Matthew’s Game Theory brand, has well over 8 million subscribers. From this success, Matthew launched Theorists Inc., a specialty consulting firm that works with large brands that want to be successful on YouTube. Theorists Inc. has been hired directly by some of the biggest YouTube stars on the planet to help them attract more viewers, as well as a number of Fortune 500 companies. Even the mighty YouTube itself hired Theorists to consult directly to help YouTube retain and grow its audience numbers. Zappos Insights – Zappos, the shoe company purchased by Amazon, launched Zappos Insights as a separate business entity under the Zappos brand. As CEO Tony Hsieh’s story of cultural transformation (through his book and speaking) became more popular, Zappos started to get more requests for help in the cultural transformation area. As more and more companies contacted Zappos, it simply could not keep up with the demand, and saw the business opportunity in front of it. Zappos Insights offers consulting, training, advisory, and mentoring services as part of its product suite. Of all the revenue drivers of this approach, keep or loyalty revenue is the oldest of them all, and is still extremely important today. Organizations of all sizes originally launched print magazines to keep the loyalty of their customers over time. LEGO Club Magazine – In the 1980s and 1990s, LEGO faced a tremendous threat from competing construction toys, and the company knew it needed to build a powerhouse brand and integrated marketing approach to go up against these building-block imitators. Among its incredible branding and content marketing initiatives is the LEGO Club Magazine, which is customized for subscribers by local market and age. The magazine allows kids of any age to receive targeted content that’s relevant to them in a fun, portable format. As an extension of its LEGO Club offering (one of the biggest and most popular children’s member clubs in the world), LEGO worked hard to improve its magazine product in 2011 with more cartoon stories of the LEGO bricks in action, better integration of customer photos, and some awesome in-store programs at LEGO store outlets and its new Master Builder Academy. LEGO Club magazine was originally launched as Brick Kicks in 1987 (I was a subscriber). Once a customer is acquired, innovative companies leverage that customer data to deliver targeted and consistent publications to, in essence, create better customers over time. thinkMoney from TD Ameritrade – While you may equate investing services with conservative and buttoned-down (especially in complex derivatives markets), thinkMoney follows a different approach. It takes the subject of investing seriously, but it doesn’t take itself with the grim seriousness of many Wall Street firms. Instead, thinkMoney embraces a “sophisticated simplicity” approach that’s edgy without being flippant and witty without being irreverent. 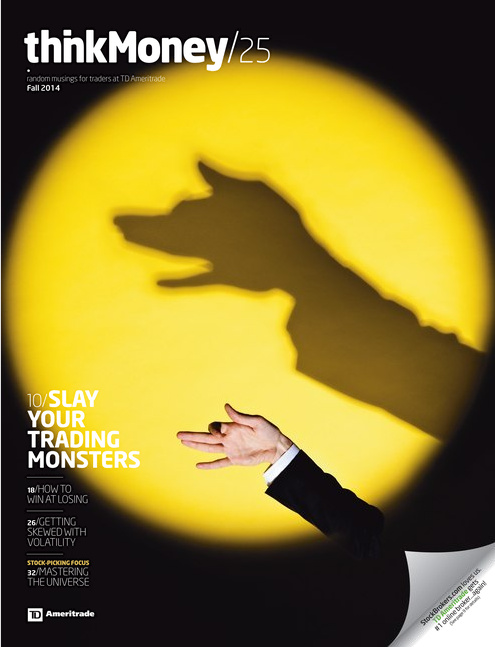 thinkMoney reaches more than 200,000 active trade customers and, according to surveys, the average customer engages with the magazine for 45 minutes or more per sitting. More than 80% of readers take some meaningful action after reading and those subscribers who engage in the publication trade five times more than those who do not. The Fold Factory videos have been directly responsible for over $500,000 in additional revenue. The most successful organizations in the future will leverage not one, but multiple parts of the media marketing model. Just as investors diversify their portfolios with multiple stocks and/or mutual funds, so do companies need to diversify the revenue streams generated from their marketing. I hope to see you at the Killing Marketing book release at Content Marketing World, where Robert and I will lay out the entire model. Good luck! Make plans today to attend Content Marketing World, Sept. 5-8, in Cleveland, Ohio. Register before June 2, 2017 for early-bird rates and use the code BLOG100 to save an additional $100.